Hi, I build one scene and then copy and paste it a dozen times. Sometimes it'll split the scene and other times it connects them, non the less I go through and split all the scenes, then do a little work to them and then somehow there connected again... what am I doing wrong that the scenes have a mind of there own? Not sure what you mean by split. Do you mean Duplicate? Also, what are you doing to "connect" them? If you are using a Jump actor and Duplicate a scene it should create an exact copy of the previous scene. The "connection" would then be whatever triggers the jump actor and the jump actor itself. The jump actor default is +1 and "relative," meaning that it will automatically jump to the next scene in line. If your Mode is set to "absolute" your jump actor will always got to an exact position, which is not the next scene, but the absolute value of the original jump. Not sure this is what you're talking about, but...? and select the blank spot to the right and paste it. So now I have 2 scenes. Sometimes they link themselves and sometimes not. Sometimes I'll have all the scenes as separate scenes and then seconds later they've attached themselves. It's not a big deal just frustrating. It seems then, that you are creating empty scenes? This is counter-intuitive to me, but fine. Basically when you're talking about linking, the default transition that should move between scenes is the space bar, but I wouldn't worry about linking (transitions) until you've built a scene. The contents of one scene can be duplicated once you've created a scene, which ends up being more useful than beginning with a group of empty scenes. Have you done the tutorials on Scene creation? @craigw is talking about the gap the green line underneath the scene name has. If there is no gap all of the scenes share the same control panel and if there is a gap you can have individual control panels for the scenes. 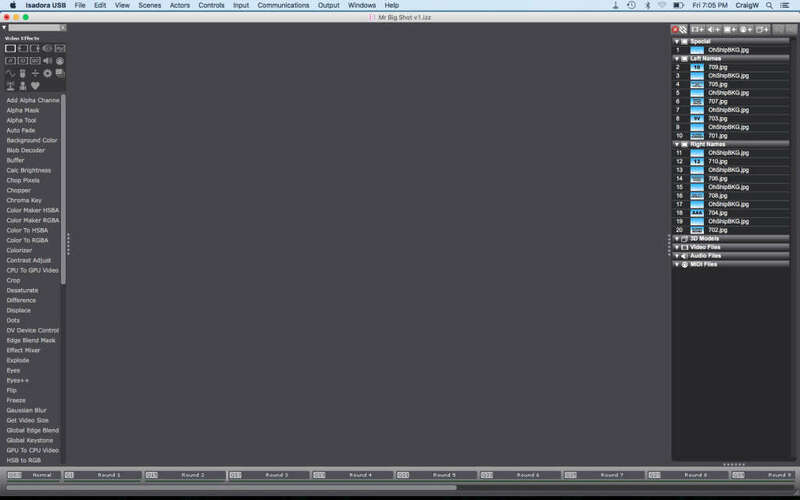 @craigw I can't recreate the gap by copy and pasting a scene at all. But I do see that if I copy all then split the scenes do a little work on them it does happen that a few scenes connect again. Besides that, Is there a reason why you split every single scene? Do you have different controls for every scene?